This is another foray into drugstore lipstick for me. I’ll be honest with you, over the last 10 years or so, I really haven’t bought a lot of drugstore cosmetics. Once you get the sweet, sweet taste of prestige brands on your tongue, it’s hard to look back. As long as you crop out my lazy eye! Yep. I’m a reeeeaal buttereye. Also, I’m a butterbody. As in, body by butter. LIPSTICK! How gorgeous is this color? So gorgeous! It looks like such a fierce orange in the tube, but on the lips, it’s a super pretty sort of coral color. Poppy colored? I kept thinking of poppies while I was editing these photos, so maybe that’s right. It’s not crazy orange. It’s punchy, right? So surprisingly wearable! I like to see how things look on people with different coloring that mine, so I had a pale, redheaded friend try it too. She bought one because she looked FLY. For $6, this is a helluva lipstick. You could put it in a higher end tube and charge more for it, fo sho. It’s super creamy, and easy to control. 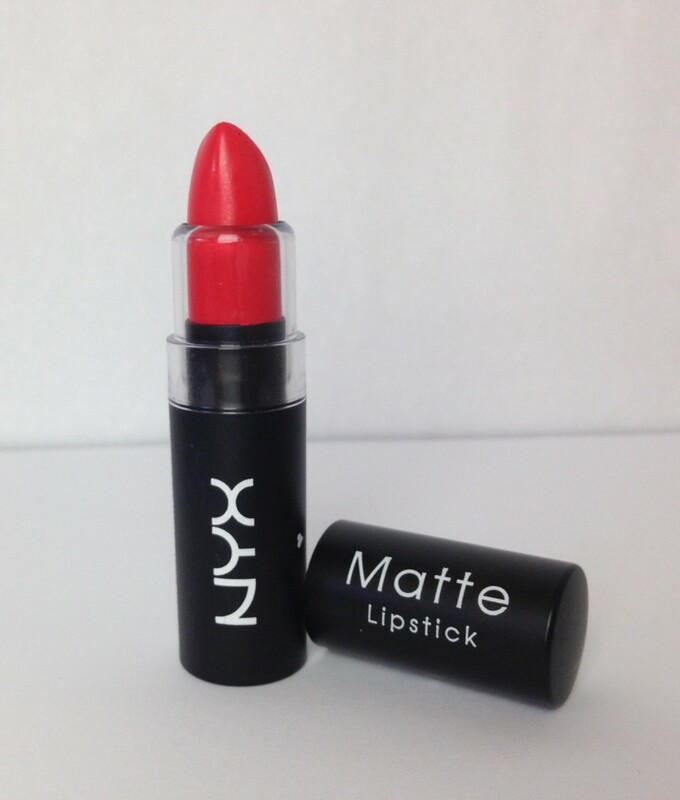 Since it’s matte, it does have a little drag on it, but that’s ok. It’s to be expected with a matte lipstick. Although I don’t think this lipstick is drying, you’ll want to make sure your lips have been properly prepped before you put it on, because it will show every ragged bite mark you’ve chewed into your poor mouth. Being matte, the wear time is pretty good. Without eating or drinking, you’ll get a few hours of use out of one application. It won’t slide around or transfer outside your lip line either. I love this lipstick. I can’t believe I’ve been walking past the NYX displays for years. Not just walking past, but, like, actively turning my nose up at them. Well, joke’s on me, because I could have cheap, rad lipsticks all this time. Will this put a stop to my snobbery? NOPE. Did I learn a lesson? I DON’T KNOW. MAYBE. BUY MORE LIPSTICKS? IS THAT THE LESSON? Buy this lipstick, for sure. That’s the lesson for you. You can get it online, but you can get it at Target too, so why wait?! 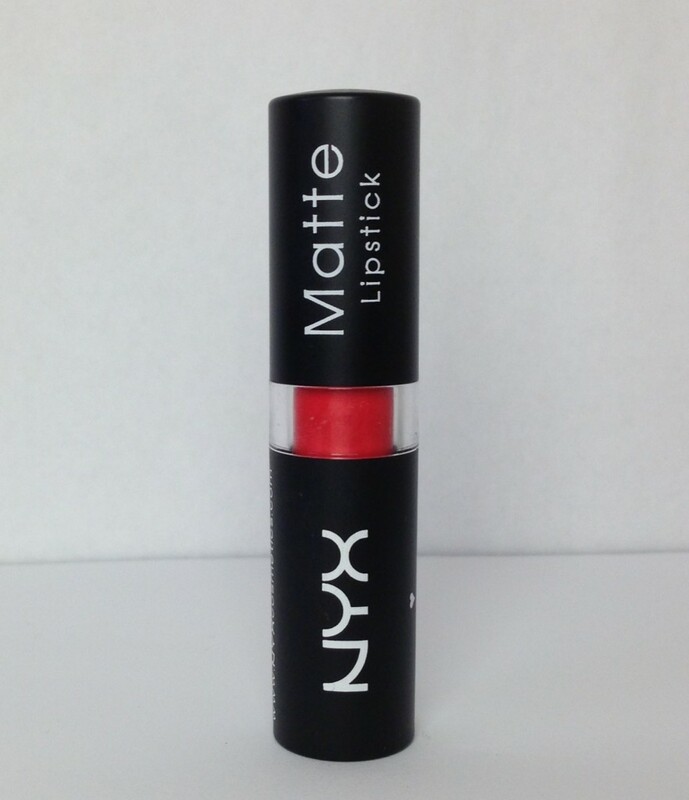 Buy NYX Matte Lipstick in Indie Flick HERE.